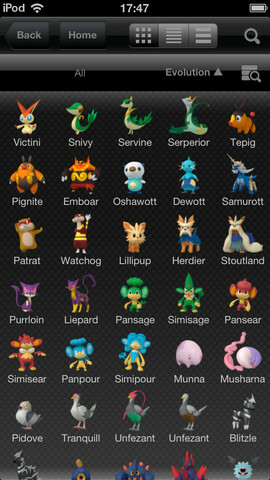 Starting today, Pokemon fans can use their iPhone, iPod Touch and iPad as a Pokedex. 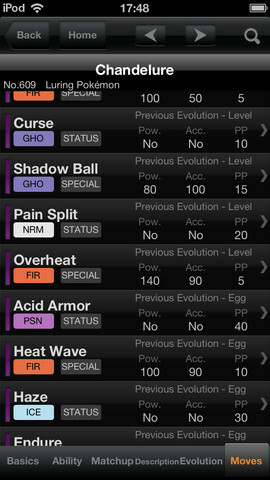 The official Pokedex app for iOS acts as an all-in-one guide to Pokemon. The Pokedex provides you with all of the information on a given Pokemon. 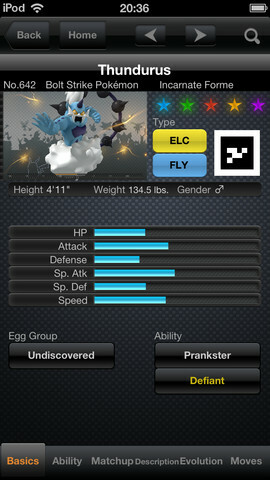 It includes its stats, moves, weaknesses, location and more. You can also view a moving 3D image of each one. Considering how many Pokemon games are on the market now, the database is rather large. The search function should hopefully make browsing a bit simpler. 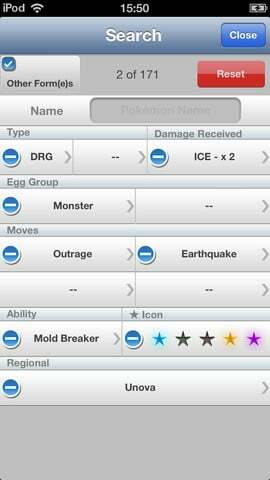 You can search by almost every attribute, including Egg Group, Ability and moves. 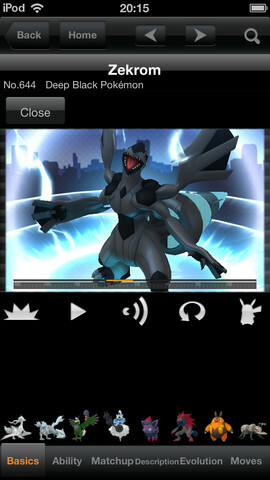 The base app costs £1.49 / $1.99 and provides information on the Pokemon from the Unova region seen in Black/White as well as their sequels. If you're looking for information on other games, you can purchase the Kanto, Johto, Hoenn and Sinnoh region data through the app's store menu. In order to use the app, you'll need the iPhone 3GS, iPod touch 4th generation, iPad 2 or later devices. Furthermore, you need to have the device's iOS upgraded to 6.0 or later.